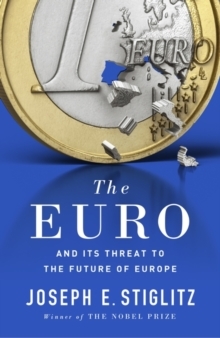 From Nobel Prize-winning economist and best-selling author Joseph Sitglitz, author of Globalization and Its Discontents, this is the essential, must-read guide to the future of Europe. Solidarity and prosperity fostered by economic integration: this principle has underpinned the European project from the start, and the establishment of a common currency was supposed to be its most audacious and tangible achievement. Since 2008, however, the European Union has ricocheted between stagnation and crisis. The inability of the eurozone to match the recovery in the USA and UK has exposed its governing structures, institutions and policies as dysfunctional and called into question the viability of a common currency shared by such different economies as Germany and Greece. Designed to bring the European Union closer together, the euro has actually done the opposite: after nearly a decade without growth, unity has been replaced with dissent and enlargements with prospective exits. Joseph Stiglitz argues that Europe’s stagnation and bleak outlook are a direct result of the fundamental flaws inherent in the euro project – economic integration outpacing political integration with a structure that promotes divergence rather than convergence. Money relentlessly leaves the weaker member states and goes to the strong, with debt accumulating in a few ill-favoured countries. The question then is: Can the euro be saved? Laying bare the European Central Bank’s misguided inflation-only mandate and explaining why austerity has condemned Europe to unending stagnation, Stiglitz outlines the fundamental reforms necessary to the structure of the eurozone and the policies imposed on the member countries suffering the most. But the same lack of sufficient political solidarity that led to the creation of a flawed euro twenty years ago suggests that these reforms are unlikely to be adopted. Hoping to avoid the huge costs associated with current policies, Stiglitz proposes two other alternatives: a well-managed end to the common currency; or a bold, new system dubbed ‘the flexible euro.’This important book, by one of the world’s leading economists, addresses the euro-crisis on a bigger intellectual scale than any predecessor.